Processes and methods are the guidelines by which IT functions. They improve the efficiency and cost effectiveness of the organization as well as keep a measure of consistency on the work completed. These processes and methods need to be agile and adaptive to the type of initiative and delivery type deployed. We analyze the effectiveness of current processes, determine what improvements can be made, and help define new processes that should be set up to achieve intended benefits. We offer an option to use a proprietary asset of ours called Tartan that can capture and load repeatable, continually evolving processes, templates, and methods to automatically manage their effectiveness in practice. We are so confident our proposed process improvements will get you the expected results, we will contractually agree to discounting our fees if they don’t. Constant change in an organization gives cause for evaluating if current processes are producing their intended effect or if they have atrophied to the detriment of the organization. Process Optimization is where we analyze key processes to validate if they are achieving their intended benefits, then offer recommendations for improvements. We can implement the recommendations, if desired. We are certified practitioners of LEAN IT, a method of analysis and revision that focuses on eliminating excess and maximizing efficiency. We can help institute a LEAN framework that can be leveraged by your organization in the future. This is the framework and processes that govern LEAN decision-making and, once set up, can guide all future process improvement initiatives and decision-making. So we come in, get you set up, and then you can go forward on your own. To aid uptake, we can help facilitate the communications and enforcement that may be required to ensure new activities are properly entrenched within the culture. We can follow up with further monitoring and spot checks. We provide all of the guidelines and processes necessary to set up and execute LEAN within your organization. Our job is done when you grasp the benefits and can successfully leverage LEAN. We analyze key processes to validate if they are achieving their intended benefits. We can identify the gaps in current processes, then define improvement actions, proposed gains, and areas to measure. We can guide the improvement process and prepare measures and metrics to validate process effectiveness. Estimating enables IT to forecast what is needed in terms of resourcing, time commitments, and budget to successfully achieve IT initiatives. Despite its benefits, estimating is often the most under-utilized and poorly completed activity within an IT organization; this is due in part to its time consuming nature. We have a solution. We can quickly implement estimating into your IT organization by utilizing proprietary estimating tools and frameworks, or creating custom ones, that allow you to scope and validate work. We are the only consulting company in North America to offer an estimating-specific service. We set up the necessary estimating processes, activities, and tools required to estimate work within the IT organization. This includes developing estimating parameters and forecasting effort based on historic data. Where historic data is unavailable, we can leverage our pre-built estimating models derived from other customers. We have estimators such as Project Management, Agile, Custom DEV, ERP & CRM, and Testing. We provide senior IT professionals to qualify, scope, and estimate your large IT or business programs and initiatives. A goal of the IT organization is to maintain consistency for its business counterparts and customers. Thus, IT organizations, small and large, can benefit from establishing pre-built methods and templates to guide repeatable work. Methods are implemented to improve the efficiency and productivity of IT delivery and initiatives. The challenge is that methods are out of date as soon as they are created. What is needed instead is a solution that grows and evolves with the organization. We came up with a solution by completely rethinking how methodology, processes, and reusable assets are built and managed within the IT organization. We prescribe to practical, simple, and scalable methods. Leveraging our SaaS based software, Tartan, we have automated many of the functions and activities of maintaining a methodology that have traditionally been cumbersome to the IT organization. Our SaaS based product specifically designed to collect, use, manage, and improve your IT methods, processes, and templates. We can build customized methodologies or leverage pre-built methodologies to suit your specific organizational needs. We provide Program and Project Management Methodology, In-House Development Methodology, Testing Methodology, Vendor Management and Performance Methodology, and ERP Implementation Methodology, to name a few. We analyze your methods to see if they are effective and achieving the gains they were set up to accomplish. We then fine tune, rationalize, and make them better. Industry maturity frameworks can be leveraged and implemented by the IT organization to improve IT Service and Delivery. Tulkita has a specialized group of professionals focused solely on implementing and advancing industry maturity frameworks within the IT organization. We are globally recognized as experts, having done hundreds of talks on the subject worldwide. We know what pitfalls to avoid and what functions to implement to accomplish intended outcomes. We have the ability to fit the framework to the size of the organization, so even small tech companies can reap the benefits of a framework without risking agility and innovation. We have the necessary planning assets to select the appropriate framework, prepare the necessary specifications, engage with the appropriate governing body, design a rollout strategy and plan, and analyze the appropriateness of each step. Using our service typically mobilizes a maturity model installation 60% faster than doing it internally for the first time. The maturity frameworks we specialize in are COBIT, ITIL, CMMI and TMMI. We are able to commit to fixed fee engagements. 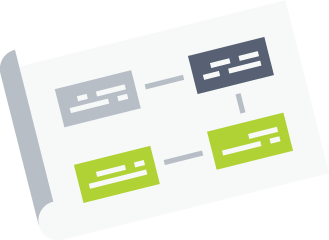 We have all the necessary plans, assets and templates needed to facilitate or lead the design and rollout of the applicable maturity framework. We can coordinate the appraisal and certification process. In many of the certifications, we have existing industry connections with the governing body. Analysis of an existing maturity framework’s viability and benefits to the organization. We also conduct evaluations for preparedness of a subsequent maturity level certification.